From The New Atlantis. August 25, 2006. The problem with so-called "dystopian" visions — though the word seems to me an unnecessary one, given that utopia in Greek means "no place" and thus presumably comprises all imaginary places whether good or bad — is that they overtax the imagination and tempt it into mere fantasizing. Orwell’s 1984 is the exception that proves the rule that nothing dates like futuristic fantasy, and even Orwell sometimes over-imagines the terrifying powers of the totalitarian future. 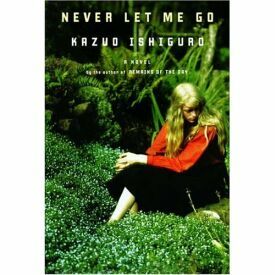 Kazuo Ishiguro, author of The Remains of the Day, seems as if he ought to be more at home in the past than the future, but his latest novel, Never Let Me Go, is a bit like Edward Bellamy’s Looking Backward — that is, an imagined retrospective on the present from the point of view of an equally imaginary future. Thus he is able to employ his gift for evoking nostalgic poignancy on behalf of the present. In other words, this novel falls into the category of alternative history. Everything in it is recognizably from the world in which it is set — which is the weirdly precise "England, late 1990s" — except for the first person narrator and all the major characters who are, as we gradually come to realize, human clones. The word "clone" does not appear until approximately two thirds of the way through the novel. Mr Ishiguro presents us with the world of the clones from a clone’s point of view, and to a clone, presumably, there is nothing very remarkable about being a clone. The real effort of the imagination here, for which the author is to be particularly congratulated, lies in the presentation of a world in which cloning is normal and the moral issues which ordinarily arise when we think about cloning in prospect only emerge very gradually and in the context of an account of what seems to the characters themselves to be their ordinary lives. The narrator, Kathy H., tells us about her work as a "carer" for other clones who are in the process of becoming "donors" — as presumably she herself will be when her usefulness as a carer is exhausted. This will be, we gather, when her donors have all "completed" — which is the clone-euphemism for died. She knows that this process is what she and the other clones were created for, and it never occurs to her to question its justice or morality. 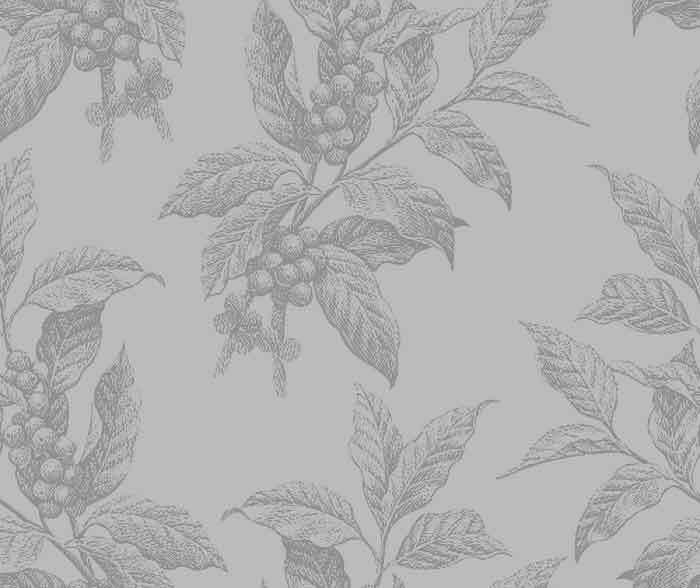 Though introduced to us on the first page as being 31 years old, Kathy H. remains essentially the child she is in Part One, which describes her school days at a special school for clones called Hailsham. As what critics call a "naïve narrator," she can best be compared to Mark Twain’s Huckleberry Finn who, in the novel that bears his name, takes a similar attitude to slavery in the American South before the Civil War. In both cases, it is precisely the naïve narrator’s inability to imagine any other moral order than the prevailing one which forms the basis of the author’s scathing critique of that order. Where Huck Finn imagined that he was going to Hell — for he could only regard his assistance to Jim, the slave, in escaping his servitude as a form of theft — Kathy H. imagines that her usefulness to her fellow clones, like their usefulness to those who have a prior claim on their organs, is some kind of compensation for their segregation from the rest of society and their treatment as being less than fully human. Like the other clones, Kathy H. also shares the slave’s lack of a surname and, with it, any possibility either of receiving or of transmitting any heritage or patrimony. Being fatherless and motherless is one of the conditions by which her existence only for the convenience of others is justified. And, unable to reproduce themselves, the clones naturally expect that existence to be terminated when their usefulness has ceased. The sole non-utilitarian link between her and others — necessarily other clones — lies in the imperfect fellowship that grows up between them at a boarding school called Hailsham, where they also have their only real contact with non-clones in the form of the "guardians" or teachers who give them a separate-but-equal sort of basic education. Hailsham is regarded as a progressive and enlightened institution, and whatever its educational deficiencies, it creates a kind of ghetto community and thus a bond between its inmates that survives their subsequent experience of less fortunate clones. Among the adventures that Kathy engages in with her two best friends from Hailsham, known only as Ruth and Tommy, are the search for their "possibles" — that is, the fully human "normal" people (as they are regarded by clone and non-clone alike) from whom their genetic makeup is derived. The basic idea behind the possibles theory was simple, and didn’t provoke much dispute. It went something like this. Since each of us was copied at some point from a normal person, there must be, for each of us, somewhere out there, a model getting on with his or her life. This meant, at least in theory, you’d be able to find the person you were modelled from. That’s why, when you were out there yourself — in the towns, shopping centres, transport cafés — you kept an eye out for "possibles" — the people who might have been the models for you and your friends. At one point, Kathy combs through a stack of old pornographic magazines because of her speculation that her own strong libido might be a hint that her own possible is a prostitute or pornographic model. Because Ruth’s possible — or someone they imagine might be she — works in an office, Ruth briefly forms the ambition of one day working in an office herself. The others are skeptical — such a thing has never happened before — but when Ruth nears her "completion" the others try to cheer her up by suggesting that she might have been the first. No, says Ruth sadly, "It’s just something I once dreamt about. That’s all." The poignancy of her regarding an office job as her impossible dream and the summit of her worldly ambitions is like that of the wild hope of Jim in Huckleberry Finn to be reunited with his own wife and children. It inspires us to ask what kind of world is it in which such commonplace things are regarded as the outer limits of what a recognizably human creature can hope for. The novel takes its title from a favorite song of Kathy’s in the days back at Hailsham. She remembers as a small girl dancing with a pillow when she thought she was alone, and singing along with the song, "Oh, baby, baby, never let me go." Suddenly, she had looked up to see one of the guardians, Miss Emily, standing in the doorway and weeping. This incident becomes central to all Kathy’s subsequent attempts to understand her life in the way she is meant to do, because it suggests that the matter-of-fact approach to clonehood that she would otherwise assume to be inevitable is the deep-dyed deception that in fact it is, a comforting story that "normal" people and clones alike tell themselves to avoid facing the ugly moral reality behind keeping human beings like cattle as a means to others’ ends. I was weeping for an altogether different reason. When I watched you dancing that day, I saw something else. I saw a new world coming rapidly. More scientific, efficient, yes. More cures for the old sicknesses. Very good. But a harsh, cruel world. And I saw a little girl, her eyes tightly closed, holding to her breast the old kind world, one that she knew in her heart could not remain, and she was holding it and pleading, never to let her go. That is what I saw. It wasn’t really you, what you were doing, I know that. But I saw you and it broke my heart. And I’ve never forgotten. Kathy and Tommy have stumbled upon Miss Emily in the course of trying to track down a woman they know only as "Madame" — a woman who, in their Hailsham days, had collected the students’ art for reasons unknown but which, they now think, might have something to do with rumors among the clones of ways in which it might be possible to avoid, or at least defer, what everyone assumes is the inevitable fate of a clone after his fourth "donation." One such way involves, it is said, approaching the authorities as a couple and claiming to be deeply in love. If you can persuade them that you are in love, the rumor has it, you can be granted a few extra years to live together as a couple. Tommy, especially, believes this rumor. He also believes that the couple’s fitness to be granted this privilege partly depends on the qualities of mind and spirit revealed in the art work that Madame used to collect. He’d not been much of an artist at school, but now he is constantly working on ever more elaborate drawings — of fantastical and semi-mechanical animals. But Miss Emily disabuses them and dashes their hopes of deferral. Moreover, she reveals that "We took away your art because we thought it would reveal your souls. Or to put it more finely, we did it to prove you had souls at all. [italics original]"
Kathy, ever the innocent, replies: "Why did you have to prove a thing like that, Miss Emily? Did someone think we didn’t have souls?" "A thin smile appeared on her face," writes Ishiguro. "It’s touching, Kathy, to see you so taken aback. It demonstrates, in a way, that we did our job well. As you say, why would anyone doubt you had a soul? But I have to tell you, my dear, it wasn’t something commonly held when we first set out all those years ago." The irony of self-conscious enlightenment here — she assumes they would have been as ignorant of their souls’ existence as everybody else but for her own good work among them — is in a class with Mark Twain’s when he has Huckleberry Finn say of Jim: "I do believe he cared just as much for his people as white folks does for their’n." The difference, of course, is that slavery was real where cloning is only a prospective evil which, if it ever were allowed to exist, would almost certainly not look like this. Barring the widespread acceptance of abortion in our own time, the whole tendency of Western history and culture since slavery ended has been in the direction of drawing ever wider the boundaries of humanity to encompass those who were once disfavored and excluded and discriminated against. It’s hard to imagine that we could simply revert to a society with two classes of citizenship, one of which has the unquestioned power to use the other for its own convenience, even for the sake of scientific and medical progress. Here is where the utopian imagination fails, as it so often does, for it provides us with no clear path from the present as we know it to the imagined future. That is presumably why Ishiguro doesn’t project his world into the future but pretends that it exists now, in place of our own. In doing so, however, he admits defeat and so takes away much of the power of his own vision. Rather than a terrifying warning of where current thinking or practice might lead, he has given us a reassurance that this nightmare of his is, after all, only a dream. Still, we may hope that the blatant contradiction between democratic principles and the fantasies of the bio-engineers may stir us to set limits on cloning — or worse — before it is too late.